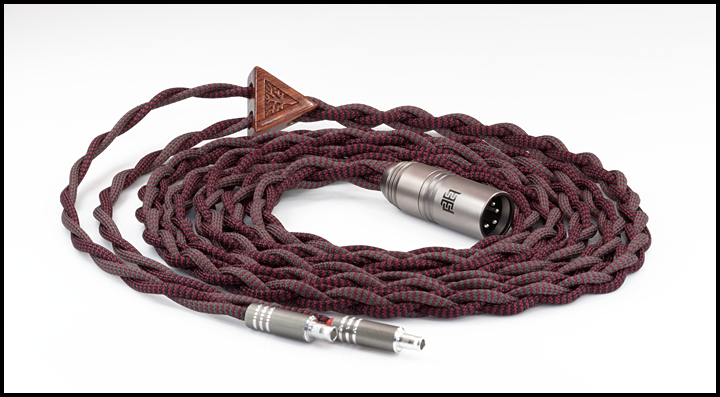 A fully unique and unparalleled "pure textile" multi-core layered design utilizing a culmination of all we have learned in our 8+ year history specifically focused on headphone cable design. 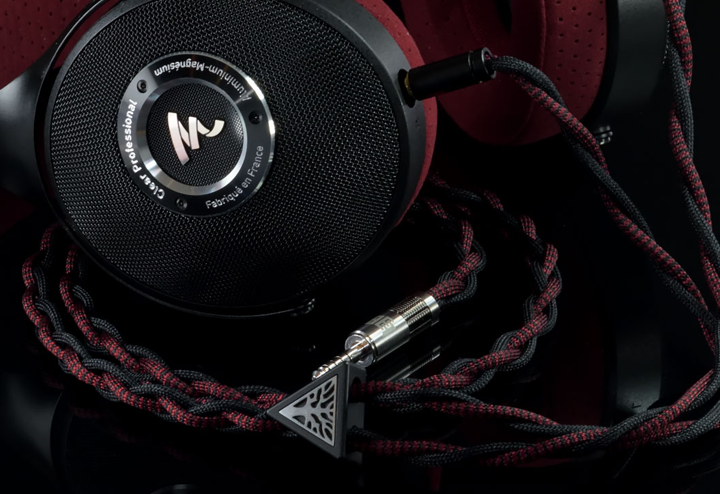 In this longer experience with dedication to only the best materials and design for Hi-Fi headphone cables, we have brought the next level in refinement. Providing the top levels of detail, micro-detail and overall transparency, there is not a true equal in our testing. 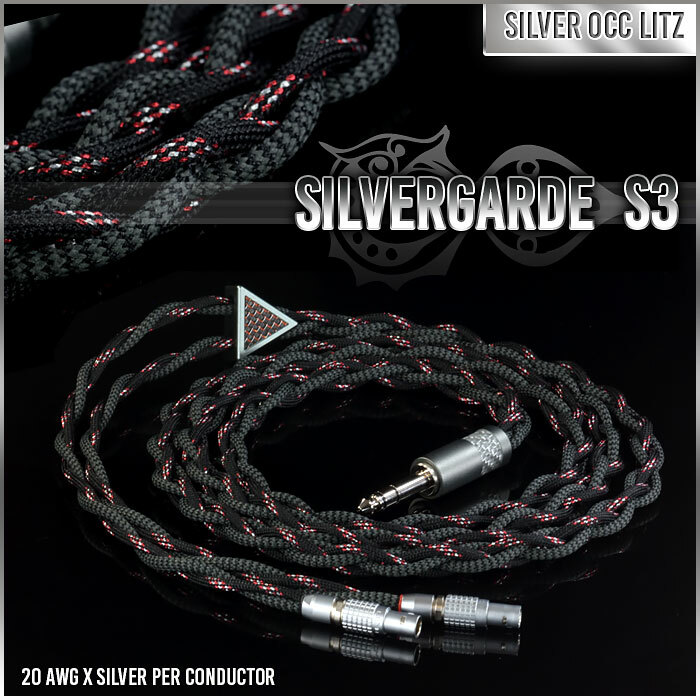 If you are truly after the best that is possible for an upgraded headphone cable, look no further than large gauge pure silver occ litz in the Silvergarde S3. This site listing is for the 4-wire model (as shown in below images), for matching adapters please email us for quote via contact form. 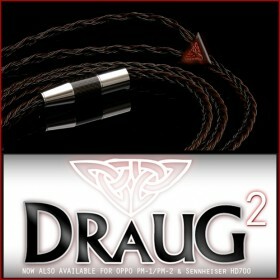 note: For those that are after the "bare" look for their silver occ litz headphone cable please see our Draug Silver or Silvergarde Clear occ litz silver headphone cables. 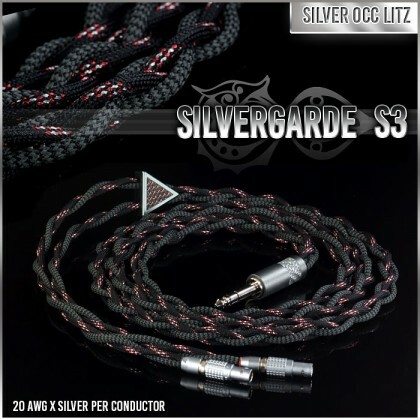 note: For those that wish to configure their Silvergarde S3 into the 8-wire cable boasting a very large 17awg silver occ litz per polarity (equiv. 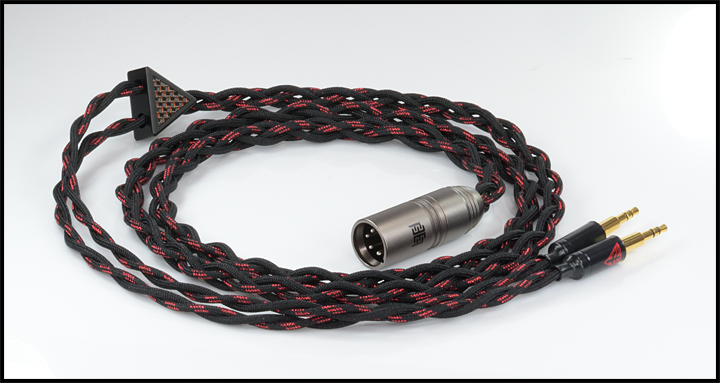 4x17awg) please email NorneAudio@gmail.com for details, options and quote. 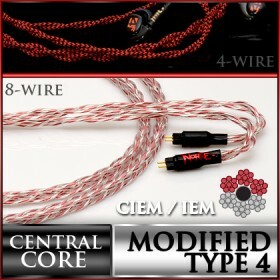 The 8-wire model has an extra special custom sleeving option included, tailored to the customers unique tastes. The Silvergarde S3 4-wire or 8-wire is the cable for those that want the ultimate quality silver possible with true end-game detail and micro-detail (overall transparency). Not all silver is the same. 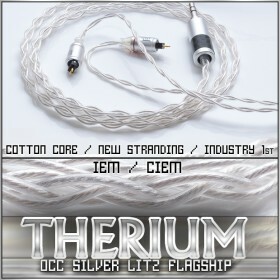 After our many years of designing cables we have tried every reputed source of silver out there until we finally found the one that cannot be bested (from our testing) on sound. 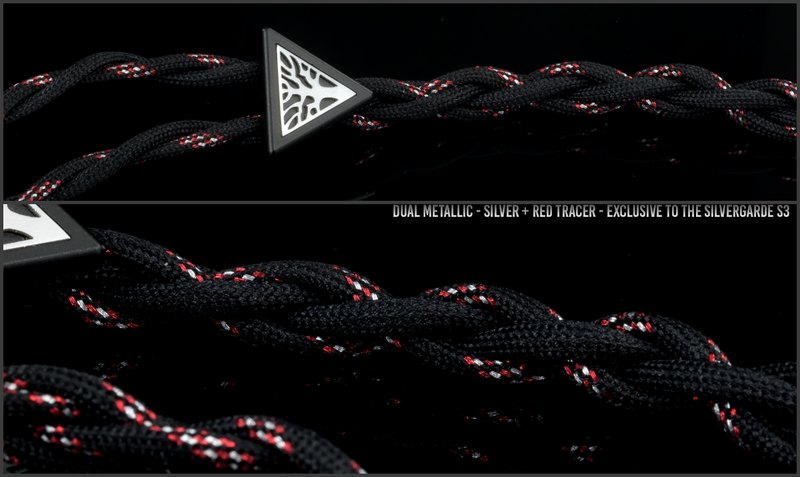 With the best silver you are able to get that end-game detail and micro-detail of silver without the harshness. What is a multi-core, layered and pure textile design? The new Silvergarde S3 design is peerless, designed from the ground up and developed over the past two years. After taking the purest silver occ litz available it is first formed into many occ litz strand bundles which are precisely positioned around enlarged flexible center core. Each of these many strand bundles have their own 100% pure cotton center core, for a total of 10 cotton cores per conductor. The center core is a semi-conductive infused soft polymer providing stability and negating of triboelectric issues. Each individual 20awg silver occ litz conductor has a grand total of 11 cores. Each 4-wire cable has 44 cores and each 8-wire cable has 88 cores. There are multiple layers around the overall structure for triboelectric matching, damping and durability. The first layer is 100% cotton overbraid, providing ultimate in triboelectric series matching against the strand bundles as well as the best structure and stability. The second layer is an ultra-thin teflon based wrap further supporting the overall structure, and also helping to compact and streamline the design. Finally we have our third layer as a custom blend textile sleeve specifically produced for us by a 60+ year old factory in the USA. 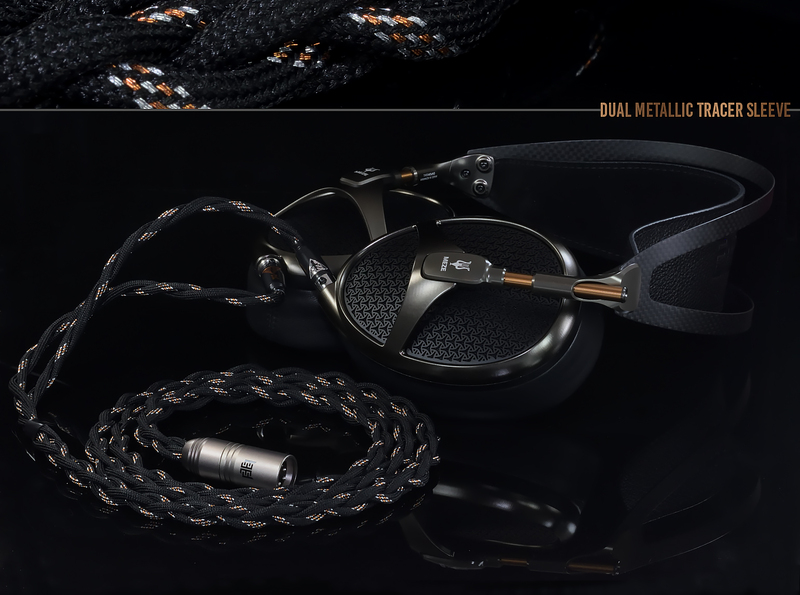 The result of this design is not only a cable able to squeeze truly everything out of occ litz silver in sound but also provides a cable that brings top level comfort and durability. One of the great benefits of such of "pure textile" layered design is of course an addictive comfort factor that cannot be replicated with cables that utilize polymer dielectrics (such as PE, Teflon, etc.). Not only that but pure cotton as the primary layer is the absolute best possible material to have compressed against the occ litz stranding given its very neutral value in the triboelectric series. So we strip away the polymer in this series and bring a new experience for a high end aftermarket headphone cable in comfort. Not only are you getting the ultimate sound with silver occ litz but you get ultimate ergonomics as well. The Silvergarde S3 is able to provide topmost flexibility, lightest weight for the given large 20awg silver, as well as an extremely low level of mechanical noise (microphonics). The Silvergarde S3 has a more painstaking assembly process compared to other cables. The primary reason for this is due to the fact that each 4-wire S3 has 48 total cores and 8-wire has 96 cores. With a 4-wire configured S3 each of these cores on every end must be carefully trimmed before dipping into our molten solder pots (note: using silver based solder). 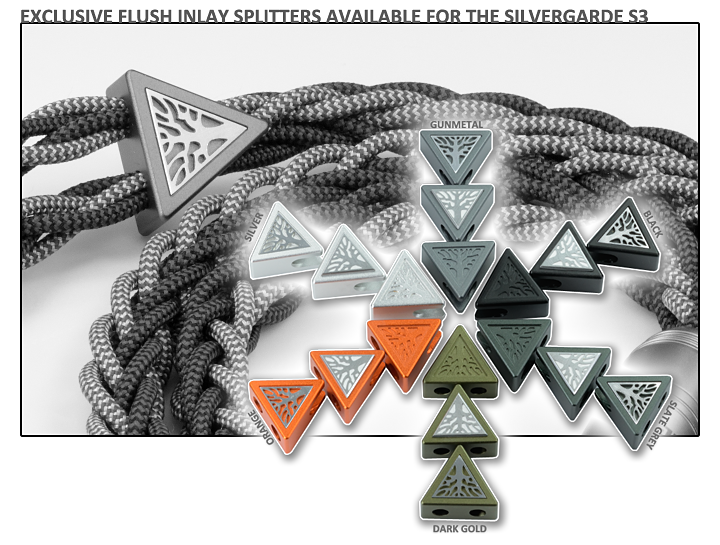 This results in having to carefully trim a total of 96 cores (both ends) for every single Sivlergarde S3 silver occ litz headphone cable produced. In regards to the 8-wire model it equates to having to manually and precisely trim double that amount, or a staggering 176 cores trimmed by hand. This represents just one aspect of the build. Each cable must also be sleeved manually and as mentioned tinned in solder pot before starting the actual soldering process to the connectors. Finally, if one desires, they can add one of our 100% in house crafted triangle wood splitters. The Silvergarde S3 has a lot of precise hand labor and craftsmanship involved in the production of every single cable, we pride ourselves on this time consuming hand labor aspect. NEW: Dark Copper Beadblast premium splitter, available with CNC raised or flush inlay. We do offer a very large number of options for sleeving (countless options in stock), including many with metallic tracers (reflects under lighting). Another exclusive option available for this series is the ability to combine two different patterned sleeves together into one headphone cable. For example if a customer desires to have black/grey herring bone on two conductors combined with black/red herring bone on the other two conductors it can be selected. This is something only offered on the Silvergarde S3 currently. 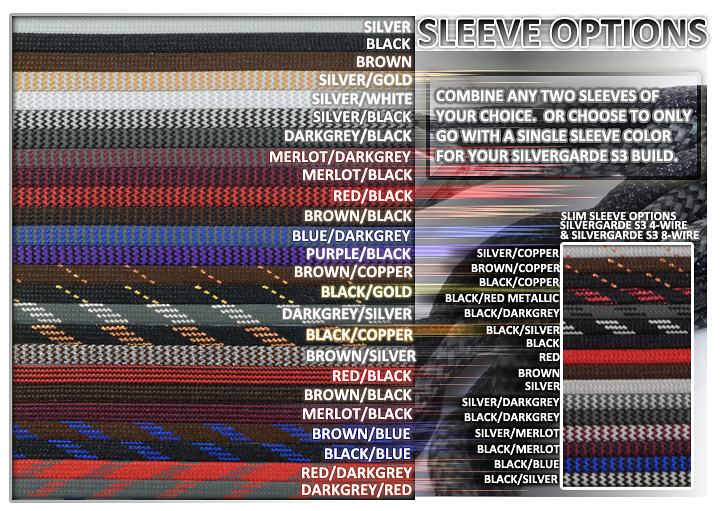 We are proud to say that our sleeves are 100% made in the USA to the highest quality and standard. 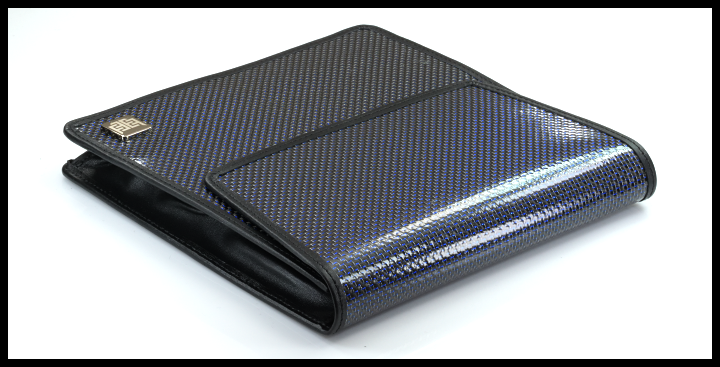 Our sleeves are not simply something you can find off the shelf, it has its own extremly nice quality and feel. Please note you can choose any two of the above sleeve colors and specify in the checkout notes if you do not see them in the options drop down menu. The Silvergarde S3 is designed as really the last cable upgrade one would need. If you have any questions on the cable and how it might be for your headphone and system please just send us an email to: NorneAudio@gmail.com or use our contact form. 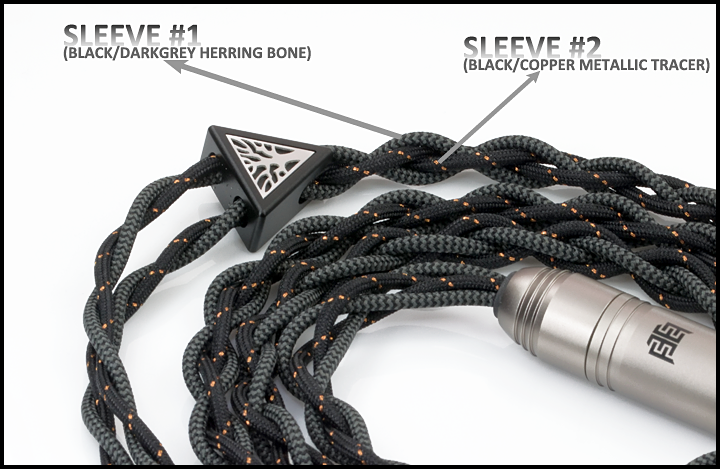 We are happy to let you know what might be the best fit for you whether it is this cable or a lower priced copper occ litz cable. Our goal is to find the exact right fit for every customer. 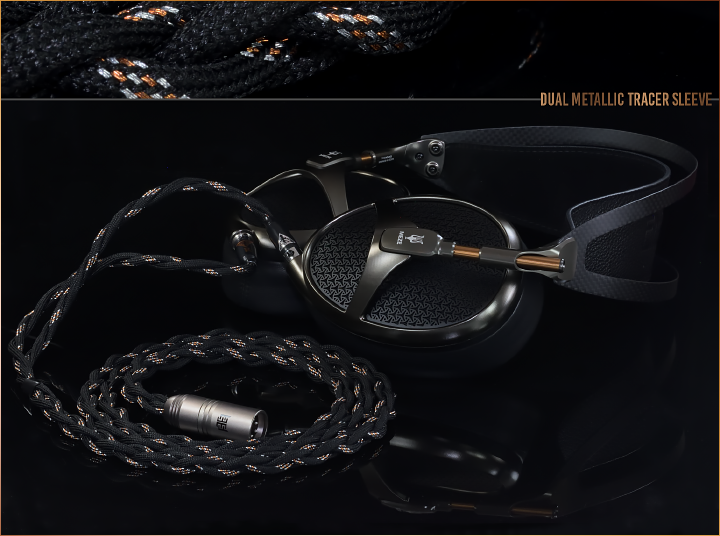 Every Silvergarde S3 full-size headphone cable ships with the new exclusive Eidolic Blue Filament carbon fiber bag and in our black gloss retail boxes.